Wedding celebrations held at the Hollywood Ballroom Dance Center are remembered for their distinctive atmosphere and dance floor panache. We consistently receive glowing feedback that our festive venue has helped make wedding wishes come true. If you want to provide your guests with the best possible dancing experience, Hollywood Ballroom Dance Center is the perfect choice for your reception. Our event rental staff will offer creative ideas for setting up your ceremony or reception, as well as for catering and décor options. Our facility is also handicapped-accessible and has plenty of free parking. The ballroom can be arranged to have an intimate feel for a small group. It can also accommodate up to 500 seated guests. How much space do you need for your reception? See our planning guidelines. The Studio, more than 700 square feet in size, is available for use as a bridal or wedding party room or as a cocktail area. Hollywood Ballroom will work with the caterers and vendors you select, having worked with many in the area. We have a Beer/Wine/Spirits license and we offer the convenience of purchasing your alcohol directly from us as per Montgomery County Department of Liquor Control requirements. In keeping with the Rules and Regulations of the Board of License Commissioners of Montgomery County, the Ballroom is not permitted to allow renters to bring in their own beer, wine or spirits. Visit our photo gallery for a glimpse of what the Ballroom has to offer. Then visit us any evening a dance is scheduled. There is no need to call ahead. Simply let the person at the front desk know you’re here to see the ballroom because you are interested in renting it for your wedding reception. Dances are usually scheduled on Wednesday, Friday, Saturday and Sunday evenings. Please check the calendar first, however, as our dance schedule sometimes changes. View the dates that the Ballroom is not available. How Can I Get a Quote for Costs? To start the reservation process or to get a quote for your wedding, please fill out our Rental Application Form and someone will get back to you shortly. If those words provoke more anxiety than excitement, relax. We can help. Our instructors know how to make your wedding dance look fantastic, even if you think you have two left feet. Whether you want to surprise your guests with a waltz or tango, or just want to give your dancing a little polish, put yourself in our hands. Our instructors will work with you to personalize your dance to your chosen song. Our most requested and highly recommended package, these lessons will have you dancing with graceful style or stunning pizzazz to your chosen song, with many moves choreographed just for you. 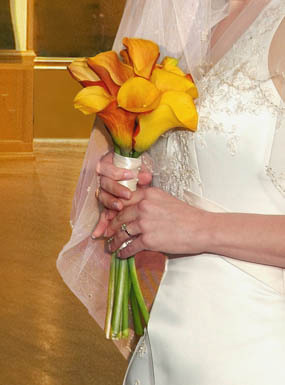 Additional lessons are available at $75 per lesson — perfect for parents and the wedding party. Learn the basic steps to a dance that goes with your chosen song, and dance with style and grace at your wedding. Additional lessons may be added at $80 per lesson. Brush up on your existing dance skills or add polish to the father-daughter dance. Additional lessons may be added at $85 per lesson. A single lesson (a full hour) is available for $90. To get started, please e-mail or call the Ballroom at 301-326-1181.